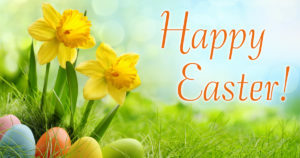 Happy Easter from Buchanan’s!! Give thanks for He Has Risen. 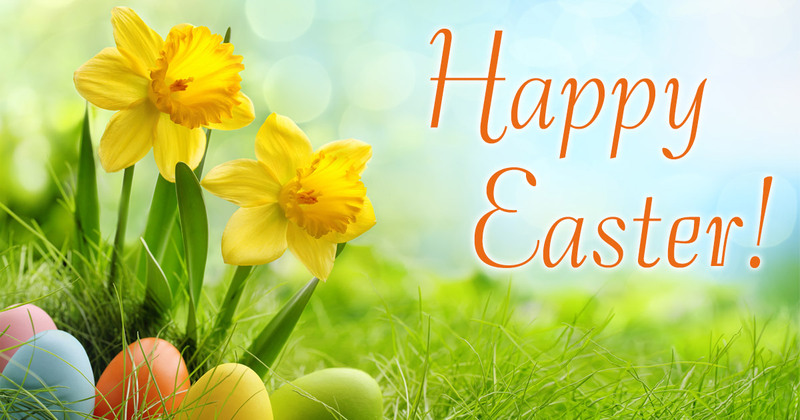 May the promise of Easter fill your heart with peace and joy on this Easter Sunday. Thank you for your continued business. Celebrate today with your loved ones, friends and family! We’ll see you Monday. 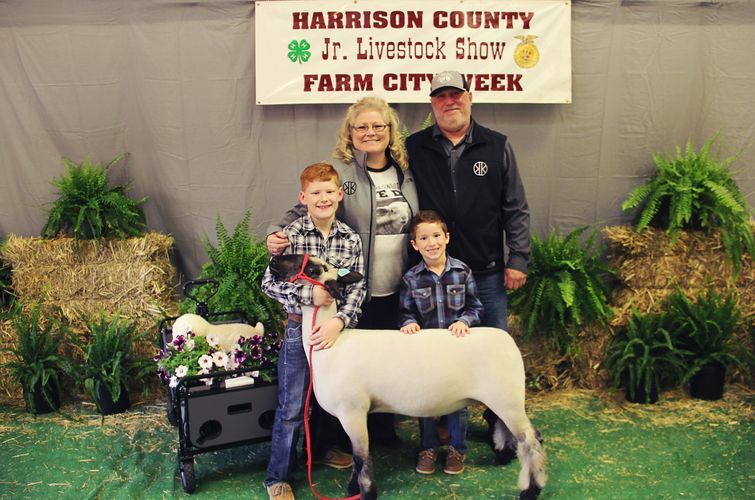 Farm City Week 2019 begins on Monday, March 18 and runs through March 21, 2019. 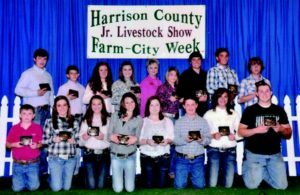 For over 50 years, Harrison County Agri-Business Association has hosted Farm City Week in order to promote agriculture, hard work, and responsibility to the youth in our county. Farm City Week takes place one week in the spring each year. Exhibitors from Elysian Fields, Hallsville, Harleton, Harrison Co 4H, Marshall and Waskom come together to show their animals in hopes they will make the sale! Please note below that Buchanan’s in Marshall has special store hours during the holiday season. Enjoy this magical Christmas season with your friends and family. We thank you for your business in 2018 and look forward to serving you in 2019!! 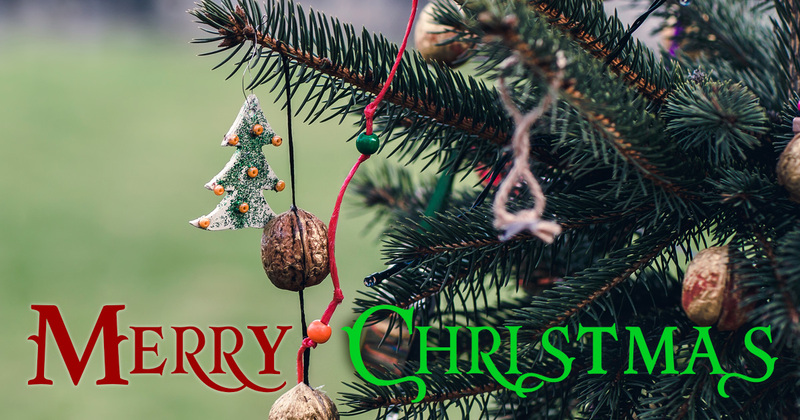 Tuesday, December 25, 2018 – CLOSED – Merry Christmas! Tuesday, January 1, 2019 – CLOSED – Happy New Year! Grass is growing and the sounds of yard work can be heard on nice evenings and weekends. If you use a weedeater, blower or chainsaw, you gotta try TruFuel. 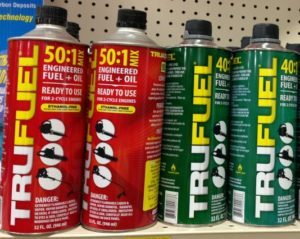 TruFuel is one of our favorite products in the store. It’s incredible how much better your weedeater, blower and chainsaw work. They crank FIRST time! EVERY time! No more pulling on the crank 5-10 times and the tool just seems to be laughing at them rather than starting. 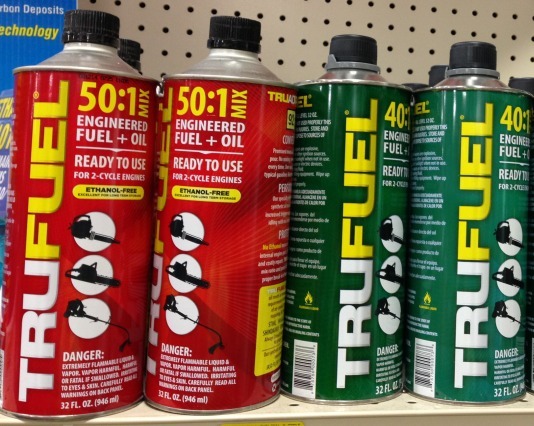 TruFuel comes in 40:1 and 50:1 ratio. It is 93 octane REAL gas. No ethanol! And that is why it works so great. No real need to drain the tank every week. No need to stabilize the gas and oil. No measuring to make sure the mix is right. Just pour in and crank….ONCE! And, this product seems to last about twice as long as mixtures ever did. In the fall, before putting your equipment up for the winter, put TruFuel in, run them 3-5 min. and then say goodbye ’til spring! If you leave oil and gas in your tools, the gas will break down and ruin the motor. TruFuel will leave your equipment in great shape for the next season. 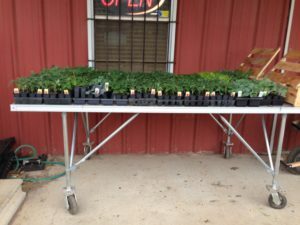 Ready to get outside and garden? We just received our 1st shipment of spring plants, including cool weather favorites at Buchanan’s. 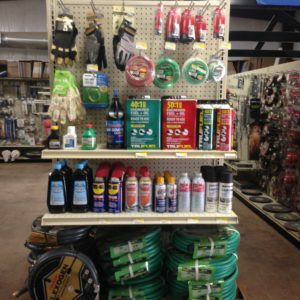 Stop in and see us to get everything you need to get your garden started including soil, seeds, garden tools, fertilizer, weed & feed and spring plants. Farm City Week 2018 begins on Monday, March 19 and runs through March 22, 2018. For over 50 years, Harrison County Agri-Business Association has hosted Farm City Week in order to promote agriculture, hard work, and responsibility to the youth in our county. Farm City Week takes place one week in the spring each year. Exhibitors from Elysian Fields, Hallsville, Harleton, Harrison Co 4H, Marshall and Waskom come together to show their animals in hopes they will make the sale! Are you ready to hunt? 2017-8 TPWD Hunting and Fishing Licenses went on sale in Texas August 15 and you can get them right here at Buchana’s in Marshall. Dove hunting season opens on September 1. White tail deer archery season opens September 30 and gun season opens on November 4. Are you ready? 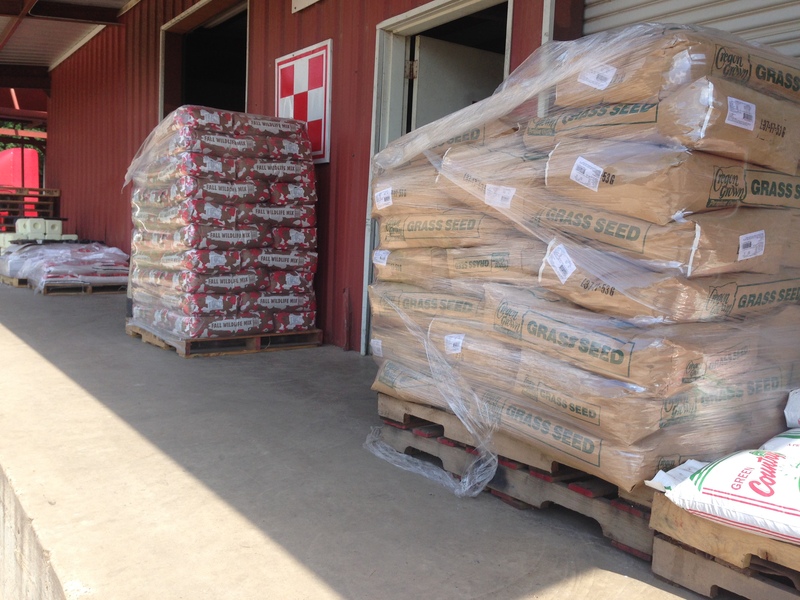 Many folks are prepping their lease now, filling feeders, putting down food plot seed and fertilizer. Let us help get you ready for deer season at Buchanan’s. We have everything you need including deer corn, protein, feeders, food plot seed, attractants, deer blocks and fertilizer. Stop and see us today before heading out to your lease. This is a another wonderful product that we are having trouble keeping on our shelves this year. 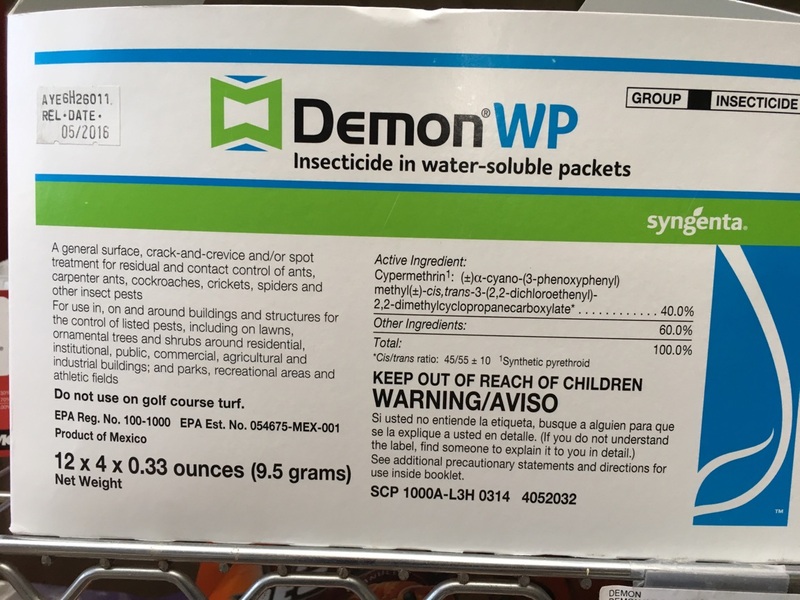 If you are having trouble with insect pests, try Demon WP. 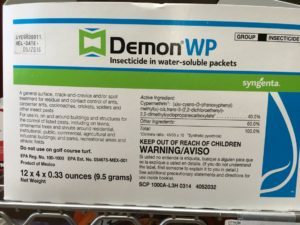 Demon WP, takes care of many insects including ants, carpenters ants, cockroaches, crickets, spiders and many other insect pests, but works great on scorpions too. Mix 2 dissolvable packets in one gallon of water. For residual and contact control, spray every crack and crevice on the outside of the house to keep pests from coming in!! Also use for spot applications. Demon should be applied with a sprayer. 4 packets to a package. If you are a barrel racer or calf roper, you know Josey Ranch and many have learned from the best there. Buchanan’s in Marshall is happy to say that we will be out at Josey Ranch for their next 2 huge events. 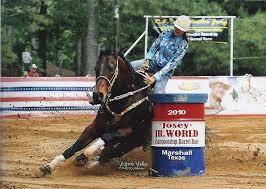 The Josey Reunion “Super Bowl of Barrel Racing” is May 5 – 7 and the Josey Jr. World “Tough as Nails” is May 12 – 14. Stop by our tent for everything you need while you are at these Josey Ranch events. Items we’ll have on hand include: shavings, hay, Purina feed, and animal health items. We’ll be there from Thursday, May 4 – Saturday, May 6 and again next week for the Jr. Worlds. Farm City Week 2017 begins on Monday, April 3 and runs through April 6, 2017. 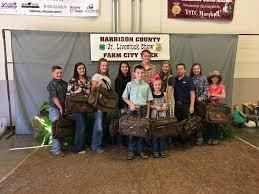 For over 50 years, Harrison County Agri-Business Association has hosted Farm City Week in order to promote agriculture, hard work, and responsibility to the youth in our county. Farm City Week takes place one week in the spring each year. Exhibitors from Elysian Fields, Hallsville, Harleton, Harrison Co 4H, Marshall and Waskom come together to show their animals in hopes they will make the sale!